تهدف المسابقة إلى تشجيع التجارب الإبداعية المعاصرة للفنانين تحت سن ٣٥، وذلك من خلال تسليط الضوء على الأعمال الإبداعية المتميزة باستخدام جميع الوسائط الفنية، التقليدي منها والتجريبي دون الالتزام بأفكار أو مواضيع محددة مسبقا للمعرض. إقامة فنية لمدة ثلاثة أشهر في Cité Internationale des Arts، باريس، فرنسا، الجائزة مقدمة من المعهد الفرنسي*. عشرة آلاف جنيه مقدمة من الفنانين أسامة داوود، شادي النشوقاتي، عمرو الكفراوي، هالة القوصي، هدى لطفي، هيثم نوار. عشرة آلاف جنيه مقدمة من شركة الإسماعيلية للاستثمار العقاري. خمسة آلاف جنيه مقدمة من Art D’Égypte مساهمة إنتاج ومشاركة بمعرضها السنوي. جائزة الفوتوغرافيا، مقدمة من مركز الصورة المعاصرة (استخدام الفوتولاب)**. ألفين جنيه كوبون مشتريات من مكتبة ألوان. *تشمل جوائز الإقامة الفنية كل المصاريف اللوجستية من تذاكر السفر والإقامة وتوفير الاستوديو. **جائزة مركز الصورة المعاصرة تشمل استخدام خدمات الفوتولاب التي تتنوع بين الطباعة الرقمية على مواد أرشيفية وبجودة متحفية، ومسح ضوئي للأفلام وتحميض الصور وتصحيح ألوان الشاشات، بالإضافة إلى التحميض والطباعة التناظرية بقيمة ١٠٠٠ جنية. يسمح للمتقدم المشاركة بمشروع واحد / استمارة واحدة فقط. في حالة إرسال أكثر من استمارة، يتم استبعاد كل المشاريع المقدمة. يجب أن يكون إنتاج العمل خلال عامي ٢٠١٧ – ٢٠١٩. يشترط أن يكون المشارك مصري الجنسية. لا تقبل روزنامه أي أعمال شاركت في معارض أو مسابقات مصرية سابقة، كما لا تقبل المسابقة مشاريع التخرج. يقوم منظمو المسابقة باختيار لجنة التحكيم والتي تقوم بدورها باختيار الأعمال المشاركة والفائزة، بدون أي تدخل من منظمي المسابقة أو من المؤسسات أو الأشخاص الداعمة للمسابقة. يتم الإعلان عن أعضاء لجنة التحكيم بعد افتتاح المعرض في شهر ابريل. يتم إخطار فقط الفنانين الذين تم اختيار أعمالهم للمشاركة في المعرض في موعد أقصاه ٢٨ فبراير عبر البريد الالكتروني. يحق لمدرار استخدام بعض من الأعمال المشاركة بالمسابقة (صور/ فيديو) أو أجزاء منها في المادة الدعائية مع الاحتفاظ بحقوق الملكية للفنان. يفتتح المعرض خلال شهر ابريل ويستمر لمدة ثلاثة أسابيع وعلى المشاركين استلام أعمالهم فور نهاية المعرض. وعليه يحق للمنظمين التصرف في الأعمال الفنية في حالة عدم استلامها. تقبل روزنامة جميع الوسائط الفنية: تصوير، رسم، نحت ، فوتوغرافيا، تجهيزات، فنون الرقمية، فنون الفيديو، فنون الأداء، فنون تفاعلية، فنون صوتية وغيرها. بعد إخطار الفنانين المشاركين في المعرض، يتم تسليم الأعمال بما يتطابق مع الأعمال المسجلة في استمارة الاشتراك، وفي حالة عدم الالتزام بمواعيد تسليم الأعمال تعتبر المشاركة ملغية. كما يتحمل الفنان كافة تفاصيل تنفيذ العمل الفني بالتنسيق مع منسق المعرض. برجاء مراعاة أن الملفات المرفوعة تظل متاحة على الموقع لمدة أقصاها أسبوع لذا يجب مراعاة إرسال الاستمارة فور الحصول على رابط التحميل. يجب إرفاق ٣ صور مختلفة من العمل بجودة عالية. الأعمال التي ترسل دون ملء استمارة الاشتراك لن تؤخذ فى الاعتبار. يمنع منعا باتا تسليم الاستمارة عن طريق اليد أو من خلال اسطوانات CD. نود أن نشكر جميع الأفراد والمؤسسات المشاركة في دعم روزنامة ٧. المعرض بدعم من المجلس الثقافي البريطاني، والمعهد الفرنسي بالقاهرة. A call for all Egyptian artists below 35 to participate in the seventh round of Roznama competition and exhibition for contemporary visual art to be held in April 2019. Roznama is an annual competition and exhibition for contemporary visual art for Egyptian artists, organized by Medrar for Contemporary Art, and it will be held at Medrar, townhouse gallery, and Mashrabiya Gallery. The competition aims to encourage creative contemporary practices of young artists below 35, through highlighting and awarding the outstanding genuine works, beyond their discipline or medium. Artist in Residency for 3 months at Cité internationale des Arts provided by the French Institute*. Artist in Residency in Switzerland, provided by the Swiss Arts Council, Pro Helvetia Cairo*. 10,000 EGP artists collective cash prize provided by: Amr El Kafrawy, Haitham Nawar, Hala Elkoussy, Hoda Lutfi, Osama Daoud, Shady Elnoshokaty. 10,000 EGP cash prize provided by Al Ismaelia For Real Estate Investment. 5,000 EGP provided by Art D’Égypte Contribution of production and participation in its annual exhibition. 5,000 EGP cash prize provided by Artist Hany Rashed. 2,000 EGP coupon prize provided by Alwan Stationary. *The Residency includes all logistical expenses, such as, flight tickets, accommodation and studio facilities in addition to per-diems. **The CiC photography prize offers usage of the CiC Photolab services that ranges from digital inkjet printing and museum quality printing, film scanning, image processing, monitor calibration, analogue developing and printing equivalent of 1000 EGP. The applicant is allowed to apply with only one project/ one application form at most. If the applicant sends more than one form all submitted projects will be excluded. The submitted artwork projects should be produced during 2017-2019. The age of the participant should not exceed 35 years of age at the opening of Roznama in April 2019. The participant must be an Egyptian national. Roznama does not accept any artwork previously exhibited in any Egyptian competitions, contests, and it can not be part of a graduation project. The competition organizers have the right to select the artworks and projects in accordance with the exhibition space capabilities and the facilities available within the space. All participating artworks in all its forms should not exceed an area of 2×2 meters. The competition organizers select the jury committee. Then, the participants selection and the winners selection processes will be held by the jury only, neither the organizers, nor institutions and partners will be involved in these processes. The jury committee members will be announced after the opening of the exhibition, by April 2019. Only applicants whose artworks are selected to participate in the exhibition will be notified via email, no later than 28th February 2019. Under the Egyptian Law n.82 of 2002 on the Intellectual property, Medrar is entitled to use any visual documentations (either photos or videos), and part of the artworks of the participants to produce promotional material for Roznama 7th competition and exhibition . The exhibition will be inaugurated in April 2019 and it will last till May 2019. All participants shall receive their works immediately after the exhibition closure. The organizers are entitled to dispose of their artworks after that date. Roznama accepts visual artworks such as: painting, drawing, sculpture,photograph, installation art, video and moving images, digital art, interactive art, performance art, sound art. Roznama management team does not assume any breach of intellectual property rights in any participant work. Participants must take into account to obtain permission in case of presenting any art work borrowed from third parties. After notifying the participant artists, artworks must be delivered in conformity with the work sent in the application form. In case of non-compliance with the deadlines of delivery, the participation is void. The artist also bears all details of the implementation of the artistic work in coordination with the exhibition coordinator. A participation request must comply with the guidelines and conditions of participation above. Prepare all the required materials for the artworks you would like to apply for and a copy of your National ID. Upload the video files, enclosed photos and copy of your National ID via https://www.wetransfer.com. The site will send a link to download the file immediately after finishing the upload. Please copy this link within the allocated space within the application form (we recommend the completion of the uploading process before start filling in the form data). Please keep in mind that the uploaded files remain available on the site for one-week maximum, so you must consider sending the form immediately upon getting the download link. In case of sending video works, the file should be of high quality (screening copy). Attach 3 different HD photos of the artwork. Attach a photo of your National ID and send it with the application form. Artworks sent without filling in the application form will not be considered. It is strictly prohibited to deliver the application form via delivery (Post mail or in person) or in CD form. 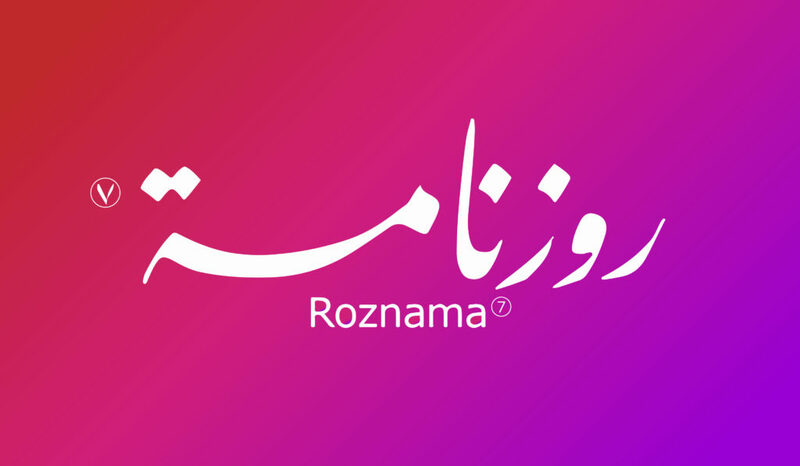 We would like to thank all the individuals and institutes which participated with us on supporting Roznama 7th edition. The exhibition is supported by the British Council and the French Institute in Cairo. © 2019 Medrar مدرار. All images are copyrighted by their respective authors.